People interested in this band should be warned that an early review of this album indicated that, were a purchaser to play it at full volume, then said purchaser's collection of Motörhead albums would melt. Musicians: Alister Parker - guitar, bass, vocals; John Halvorsen - guitar, bass, vocals; Brent McLachlan - drums. 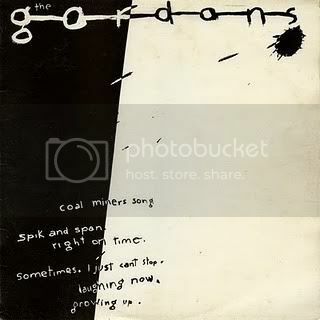 Songs: Spik and span; Right on time; Coalminers song; Sometimes; I just can't stop; Growing up; Laughing now.